A National Public Television series airing in 90% of the Country! 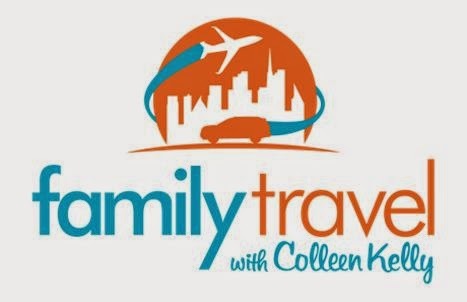 CHICAGO: "Family Travel with Colleen Kelly,” a popular National Public Television series, will feature the Lake of the Ozarks in Missouri, highlighting the outdoor adventure, water activities, shopping, dining and attractions that make the area a great family vacation destination. The Lake of the Ozarks episode will be part of the show's season two lineup. The show's host, Colleen Kelly, and the crew will spend time throughout the Lake of the Ozarks area July 15-17, shooting segments at Ha Ha Tonka State Park, Bridal Cave and Thunder Mountain Park and Captain Ron’s Bar and Grill. They also will go fishing, have some fun on the lake with Iguana Watersports, take a flight over the lake with Airlake Aviation, go on an excursion on the Tom Sawyer Paddlewheeler at Bagnell Dam and shop at Blair’s Landing on Main Street.